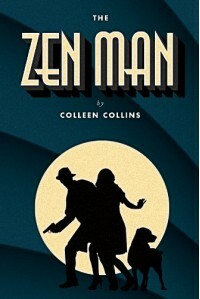 This is a tightly written the run of the mill whodunit mystery told in the first person narrative of Rick Levine, the Zen Man, a disbarred Denver attorney turned Private Investigator. Charged with murder after hosting a party at his B&B ends up in the slammer with a half-mil bail bond and 30 days to clear his name. This is a lighthearted approach into mystery/crime fiction supposedly written with a sarcastic and humorous side to it but I failed to see any sharp sense of wit here. The language is basic at its best. One plus, is a well-structured, somewhat believable plot with clues, twists and turns and enough chilling scenes doled out steadily to keep things interesting, but I had trouble staying with it, there was something not gelling in my mind. To the mystery buffs there are no surprises here, you will pin point the murderer from the get-go although some do find the journey to be still enjoyable. The characterization is interesting and entertaining but to a degree they are too much of a garden-variety type. I found that some of the scenes are overblown while others are simplistic making one hot and cold story to read. If it weren't for the spurts action to have kept me on track I would have ditched this one mid-way. Not to say it is a bad book, it simply dabbles too much for my taste.